The Horseshoes pub quiz took off like a rocket as soon as we walked in. The locals love the quiz night and Eddie the quiz master really enjoys hosting. 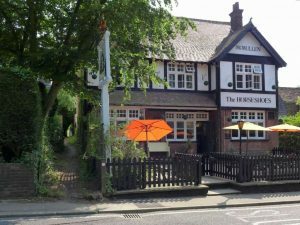 The venue is a quiet, friendly country pub and dining room, located in the village of Upshire near Epping Forest. Upshire is easily accessible from Waltham Cross, Waltham Abbey, Loughton and Harlow.